Today is the first day of your 14 Day IOM, England & Scotland Experience. Pick-up from your hotel at 8.30am, arrival shortly afterwards to Celtic Rider. Meet the team, have tea/coffee and be introduced to your motorcycle. Receive your Celtic Rider merchandise and begin packing. You will be furnished with inner liner bags which will fit into your top box and side cases. You are welcome to a tank bag and/or waterproof roll-up bag also. Sit through our award-winning Safety Orientation Course, this will fill you in on Irish, UK and European road laws and what to watch out for when riding. Followed by one hour Safety Ride-out with a Celtic Rider team member. Depart Celtic Rider, making your way to your Dublin accommodation where you will stay for the evening. Enjoy our capital city for the evening, its great atmosphere, restaurants of the highest quality, pubs, museums and many more attractions. As the ferry departs twice weekly from Dublin city port, Wednesday’s at 10.45am, Sunday’s at 11.15am, motorcycles need to be picked up from Celtic Rider the day before. As the ferry departs twice weekly from Dublin City port (Departing Wednesday’s at 10.45am and Sunday’s at 11.15am) arrive at least 45 minutes prior to sailing. On arrival into Douglas, check into your accommodation where you will stay for the next two nights. As you will be based in Douglas, the start line of the infamous TT race is instantly accessible and is truly a wonderfully exciting course, at just under 38 miles. From Bray Hill, drive around the island anticlockwise, up to the thrilling Gooseneck bend and then over some bridges, and corners… Imagine these racers pick up speeds of over 200 mph! A must-see while you are in the Isle of Man is the Snaefell Wheel and the Great Laxey Wheel, also known as the Lady Isabella. 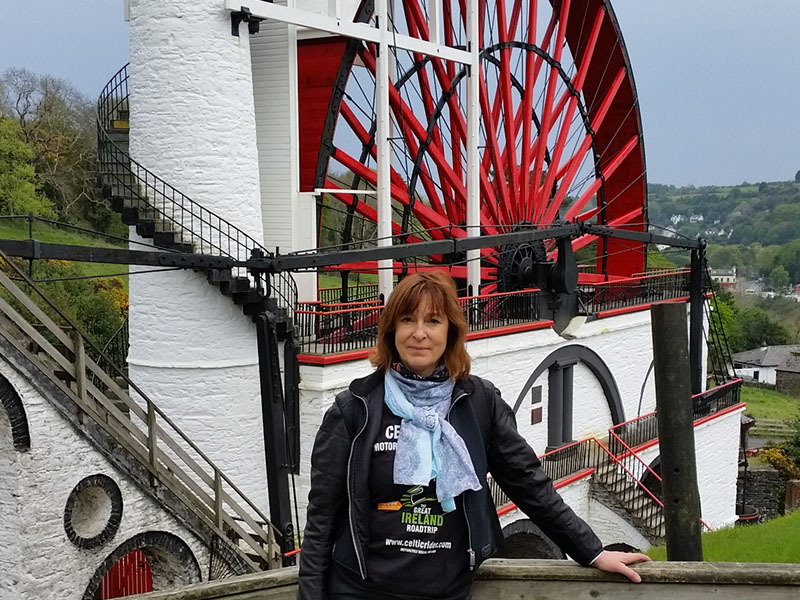 The Laxey Wheel is over 72 foot in diameter, dating back to 1865. It is the largest working water wheel in existence and definitely worth viewing. If you are getting here by train use the North Electric Train, hop off at Laxey and take the Snaefell Mountain Railway there. The Manx Transport Museum is located in Peel, on the east of the island. This is a free entry, must-see for all drivers, as all transport memorabilia both past and present is on view in the newly renovated building. For the second day on the island we suggest talking a steam engine railway trip, these are both scenic and charismatic experiences. Located at the north of Douglas Promenade the steam train takes you Also as there is just over 660 miles of road, with little villages, a lot are on the coast, with excellent scenery and interesting old places to visit. Departing the IOM at 8.45 am on the Steam Packet Company ship, you arrive in Haysham, England at 12.15pm. The drive to the lakeside town of Windermere is very enjoyable, all minor country roads, before entering the Lake District National Park. 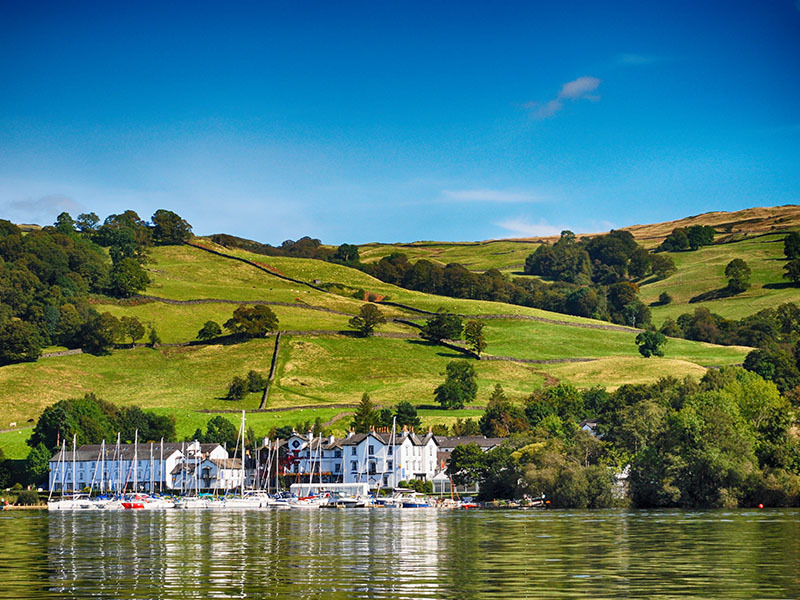 Windermere is located in north-west England and has the largest natural lake in England, surrounded by mountain peaks and old villages. This is where the great children’s writer Beatrix Potter resided and where the Beatrix Potter attraction is located. Experience the relaxed boats cruises across the lake, which borders Lancashire before enjoying your evening meal in one of the local restaurants. Departing Windermere todays route passes one lake after another, firstly into Carlisle, then Selkirk, then the twisty Tweed Valley route to Peebles, and finally Edinburgh, a beautiful university city. Check into your accommodation for the evening. Enjoy this vibrant cultural city. There is an abundance of good restaurants, bars and attractions to enjoy. The whisky tour is entertaining and fun, a few tour companies have these on offer. Also, the walk along the Royal Mile from Edinburgh Castle to the Scottish Parliament Buildings should be experienced. Lined with cobbles and shrouded with history, it is one of the most poignant experiences in Edinburgh City. There are some great museums and art galleries, cathedrals and parks to wander around. 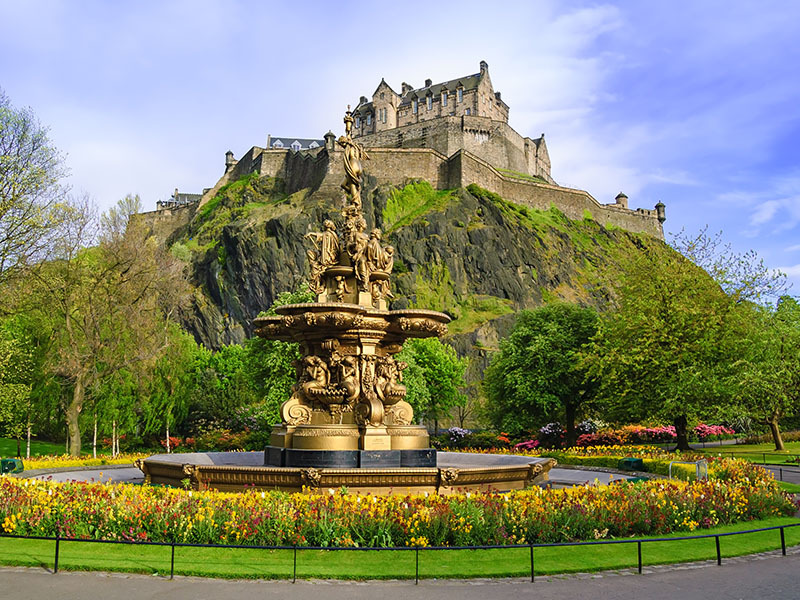 Edinburgh Castle itself, home to Scotland’s Crown Jewels is a must-see for all tourists! Departing Edinburgh, today’s route brings you to one of the most beautiful towns in Scotland, Pitlochry. Beginning your route you’ll drive over the great Forth Bridge. A new bridge is under construction and awesome to look over at. Today’s drive is brilliant, exciting and on some great roads. Your first stop is Stirling and one of the most important castles in Scotland, Stirling Castle. Built in the 12th century this castle has served also as a palace for the kings and queens who lived there. Both architecturally and historically a very interesting visit. The steep old cobblelock streets up the castle, with really nice views over the town and countryside should not be missed. Onwards to Lough Lomond, hugging the Lough before riding into the heart of Trossachs National Park, truly a beautiful place to drive through up in the highlands of Scotland. The twisty roads make for some fun riding around Lough Lomond, it is a superb lake with stunning views all around. 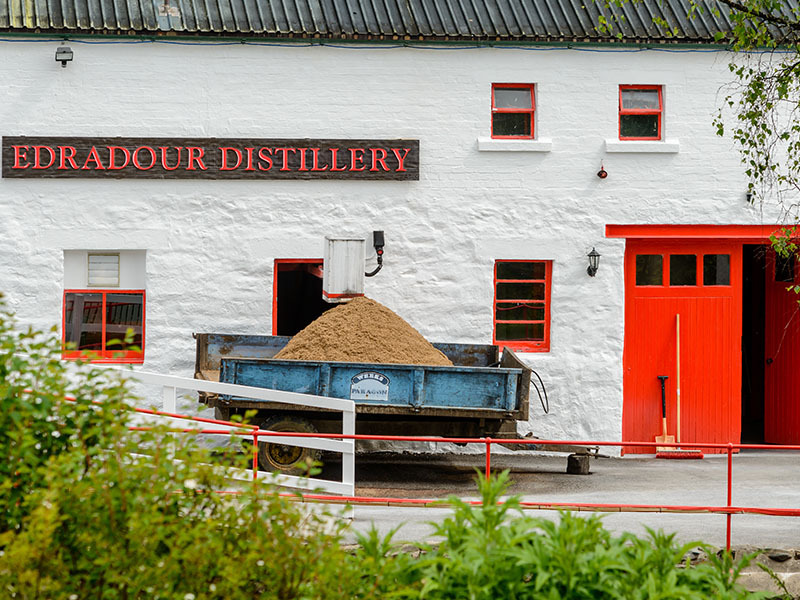 Pitlochry is home to Scotland’s smallest whiskey distillery, Edradour Distillery. Established in 1825, pop in and see for yourself how this tiny distillery works, and taste it’s wonderful goods at the end of the tour. Admission is only £10 and you are only minutes away from this evening’s accommodation. Continue on to Pitlochry town which is located in a most scenic, clean, fresh mountainous area of Scotland. Check into your accommodation and after a long days drive, enjoy a hearty meal in whichever of the pubs or restaurants you choose. Good locally produced food is readily available in the pubs and restaurants in this quaint town, enjoy a hearty meal in whichever you choose. Departing Pitlochry town you’ll be making your way through Cairngorm National Park, notice the impressive views of the Grampian and Cairngorm Mountains around you. 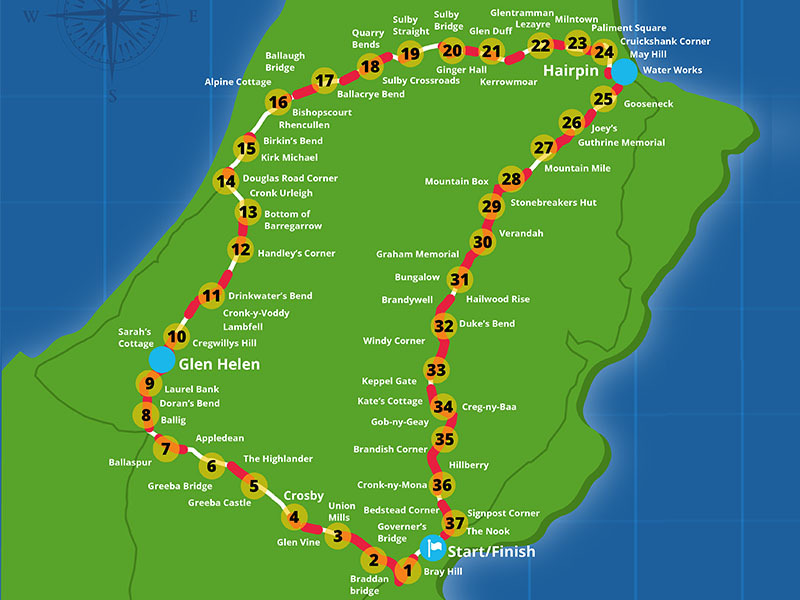 This is an awesome route, the Cairngorms National Park is the largest national park in the UK. Skiing is popular in this national park and you will come across ski slopes and huge cable cars dotted around the area. 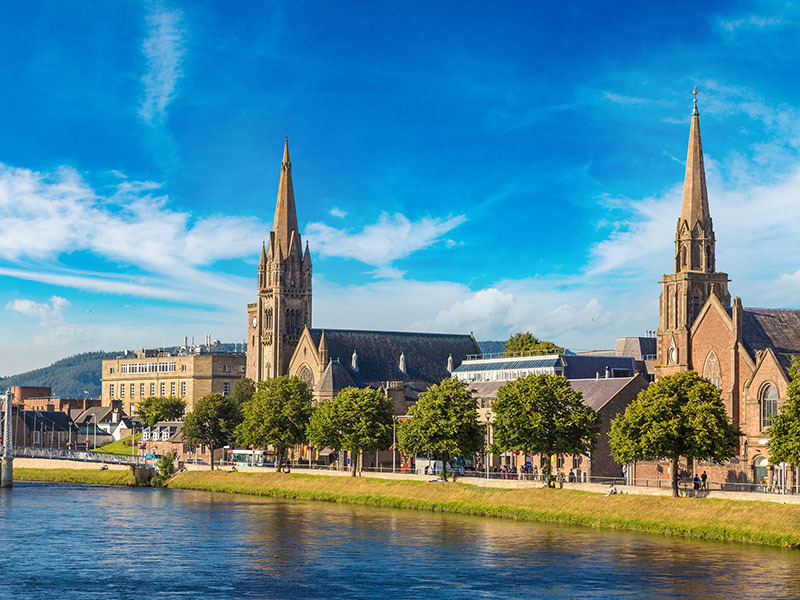 Continue to Inverness, check into your accommodation and enjoy the hospitality of the capital city of the Scottish highlands. Heading north-east along the newly opened North Coast 500, todays drive brings you to the town of Thurso or Wick. These are 5000 year old Norse coastal towns on the northern tip of Scotland With a latitude 59.6 it is on the same line as Hudson Bay, only 30 degrees Celsius warmer in winter due to the Gulf Stream. The coastline is stunning and offers up some spectacular ocean vistas. 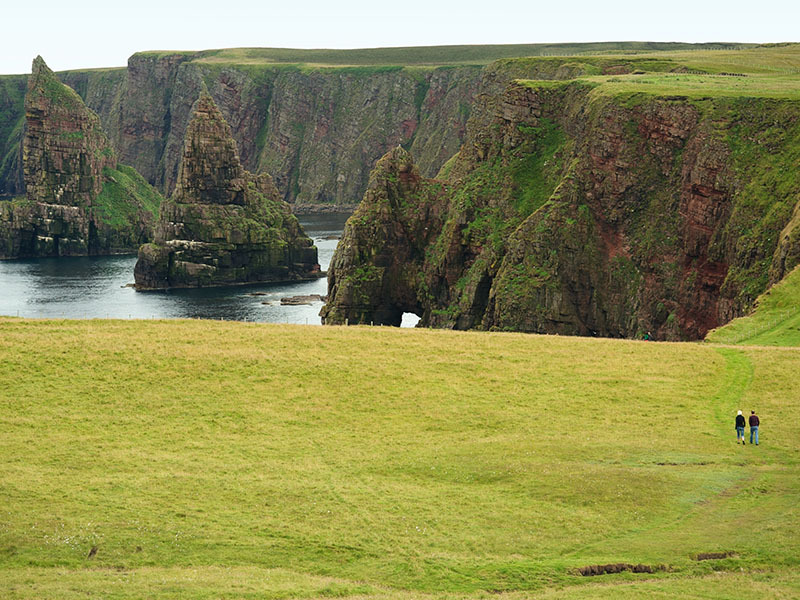 You’ll see ruined castles and sea stacks, and drive past quiet fishing villages. This is the wide open country and really is a lovely drive. On the north-west tip of Scotland is the world famous John O’Groats, just 11 miles from Dunnet head, the very most northerly part of England. On arrival into the town, check into your accommodation provider and explore and savour the local cuisine, in particular the bounty fresh from the North Sea. 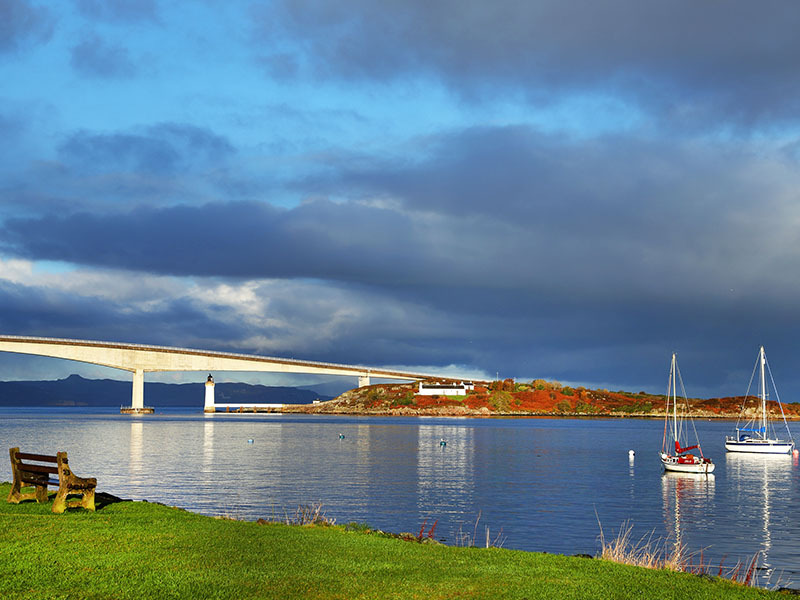 Today’s route takes you south-west towards the town of Ullapool along the NC500 route, which offers both stunning ocean views and wild countryside. The picturesque fishing town of Ullapool, is located on the shore of Lock Broom. This area is low is population, a very unspoilt natural environment, with nice walks in and around the town. On arrival, check into your accommodation. Enjoy the fresh sea air and a nice meal in one of the local establishments. Leaving Ullapool for Portree on the Isle of Skye, via the wonderful Skye Bridge, todays drive finishes with the NC 500 route. 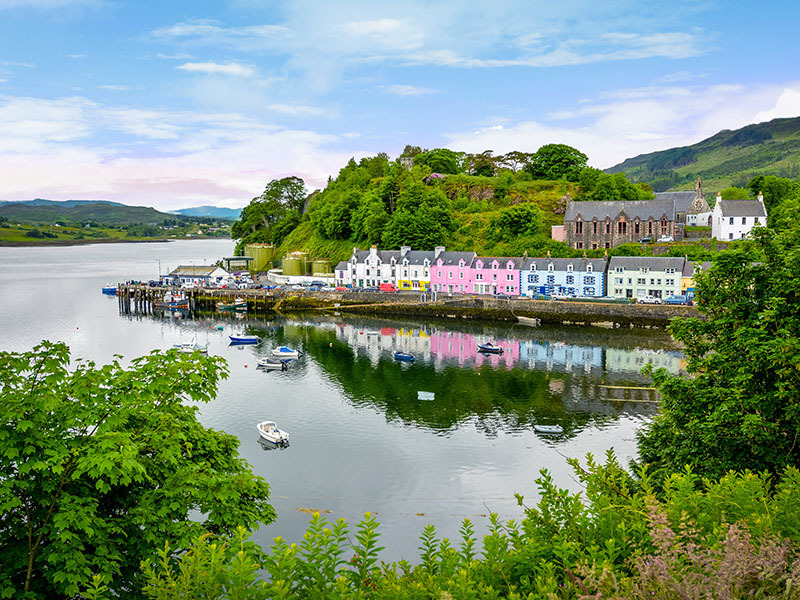 Entering Portree, a small fishing village and note the towering mountains around you, I advise riding the A885 route north of the village, it’s a magical drive and brings you anti-clockwise around the peninsula. The Isle of Skye forms part of the Hebrides Island off the west coast of Scotland. Check into your accommodation and enjoy your evening in Portree. 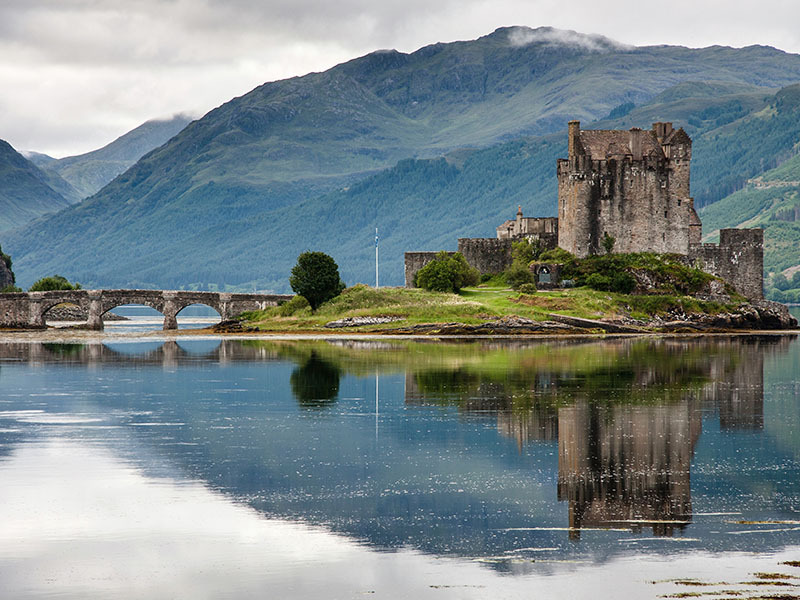 Departing Portree, today’s first optional stop is at the ‘Eilean Donan Castle’ remembering ‘The Highlander’ film! It is a stunning place for photographs and wonderful when the tide is in. Continue then along your route to the Five Sisters Mountain Range, you’ll see a line from an unbroken high mountain shoulder, five fine peaks raise their heads skywards, each connected by a ridge of swooping curve… a spectacular sight. Onwards to the Glen Coe area, enjoy the lovely scenery through this mountain pass. Glen Coe is often considered one of the most beautiful places in Scotland, and is a part of the designated National Scenic Area of Ben Nevis and Glen Coe area. Onwards to the port town of Oban where you have a choice of some great seafood restaurants as the town has a long history of fishing. Departing Oban, the drive today takes you to the city of Glasgow. 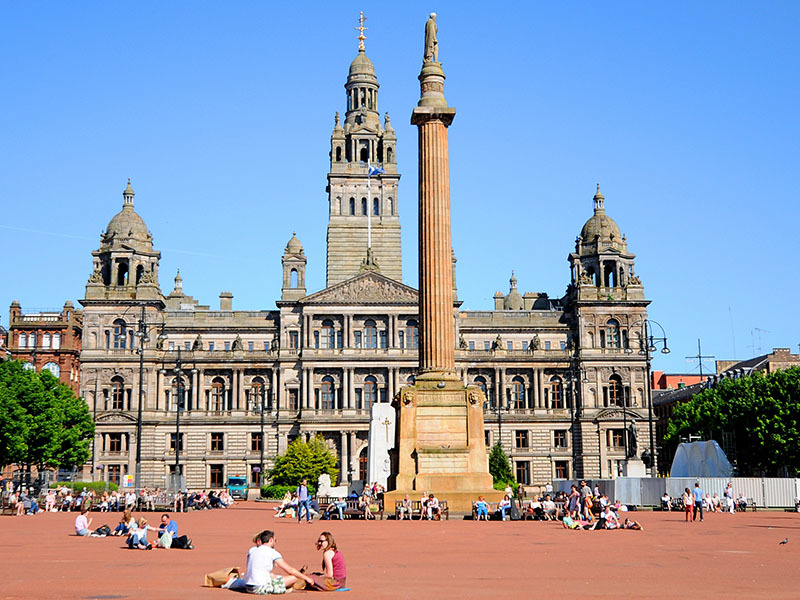 Glasgow sits in Scotland’s western Lowlands and is a vibrant, cosmopolitan port city. Notice the Victorian and art nouveau architecture. This wealthy city offers a wonderful array of cultural and heritage museums, bars and other attractions. Again today’s route offers some wonderful scenery as the route cuts through Trossachs National Park and skirts along Loch Lomond. Arriving in the old city of Glasgow, which in relatively recent years has become a vibrant European city. Notice the Victorian and art nouveau architecture. Red stone buildings, fantastic squares, massive statues honouring great Scottish inventors and writers, it’s really nice. Check into your accommodation and enjoy the diverse rich night life and bars of this Victorian city on your last evening. Departing Glasgow city, the 80 mile/ 120km drive to Cairnryan for the 11.30 am ferry to Belfast takes approximately two hours and15 minutes. Arriving in Belfast at around 2pm, you will then follow your Garmin route, firstly skirting around the docklands of Belfast to the M1 back to Dublin. 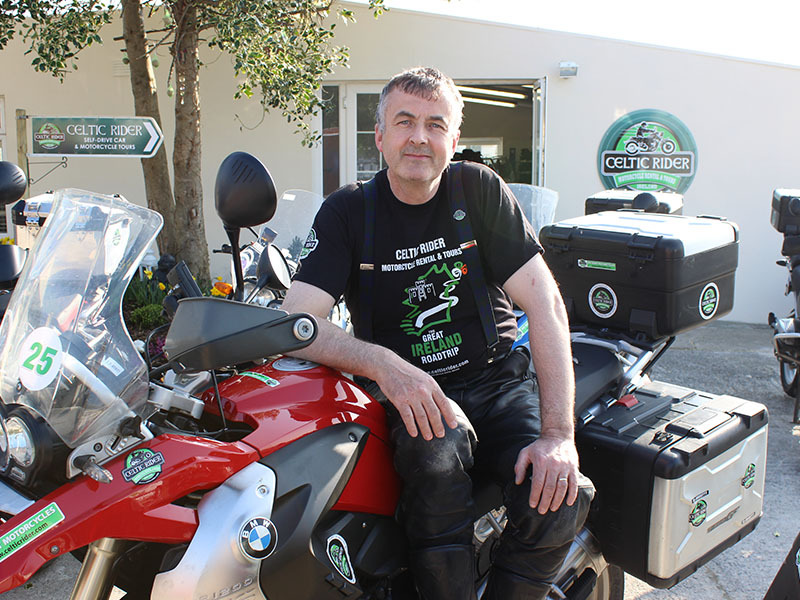 It takes two to three hours to arrive back at Celtic Rider, a distance of 120 miles/ 190kms. After returning your bikes to Celtic Rider, we will then transport you in one of our mini-buses to Dublin City or Dublin Airport after discussing and listening to your stories and observations of this most impressive tour of the Isle of Man, England and the majestic highlands of Scotland. Since 2007 when Paul Rawlins, founder of Celtic Rider, pioneered motorcycle tourism in Ireland, we have being made aware over the years of the history of forced emigration that took place during several centuries in both Ireland and Scotland, and with this in mind at the outset of creating this great tour, we feel the routes will satisfy drivers whose ancestral origins came from the lands of the Celts. This is a paramount philosophy we have in Celtic Rider, our tours deeply immerse overseas drivers in the real countryside and traditional villages and towns of the land they pass through. Pricing & Details – *please note that we endeavor to keep all prices as stated below, however due to certain peak times some accommodation providers costs increase and this can be reflected on your quote. All prices below are ‘From’ the price stated but more often they are the actual price stated.